We are fielding 80 candidates across Cheshire in the local elections on May 2nd. There are 30 candidates in Cheshire East and 50 across Cheshire West and Chester (CWaC). This is a record number in recent elections and demonstrates the strength of the Party. 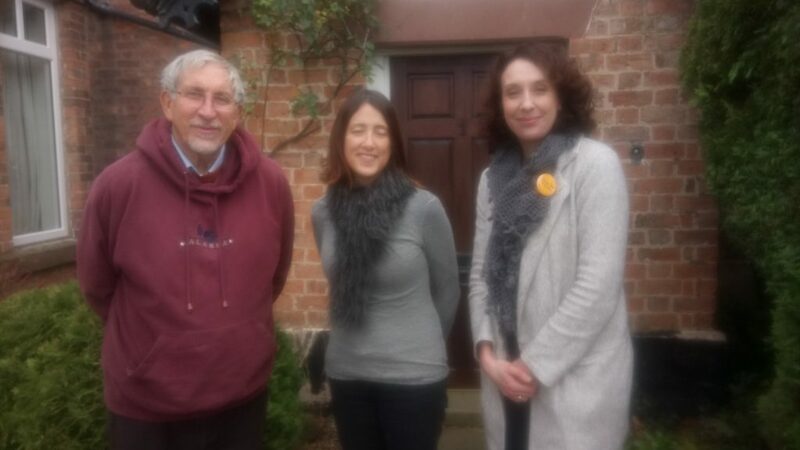 A Lib Dem team canvassing in Kelsall supported by Daniela Parker (centre) Lib Dem Prospective Parliamentary Candidate for Weaver Vale. With over 100,000 members and registered supporters, we now have a larger membership base than the Conservatives. 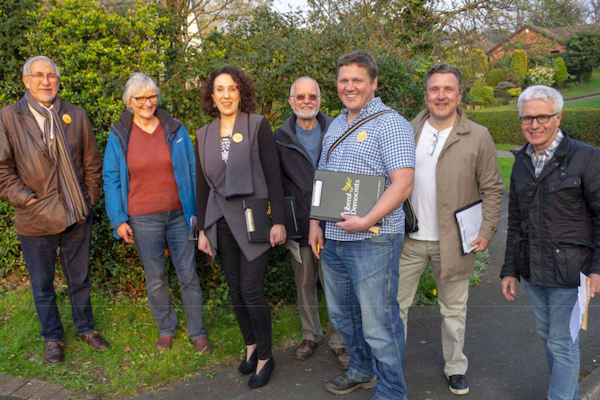 Our candidates are campaigning on a wide range of issues, many specific to the local Wards but there are huge issues in both Councils relating to governance with Council Officers suspended in Cheshire East, planning and leasehold issues in new properties in Northwich and the environment where we opposed to fracking. The Lib Dems are funded locally by member donations, we are not beholden to large private or business donations and voters can be reassured we are acting in their best interests. Please contact our Press Officer Malcolm Gaskill on (01606863575 or [email protected] ) if you have any queries. Our Farndon Campaign for the May Elections is in full swing ! We are putting together a strong experienced team of candidates across Cheshire West in May 2019. The new Cheshire West Council elected in 2019 is likely to be finely balanced between Labour and the Tories, so just a small group of Lib Dem Councillors could be in a position to decide how the next Council is run. 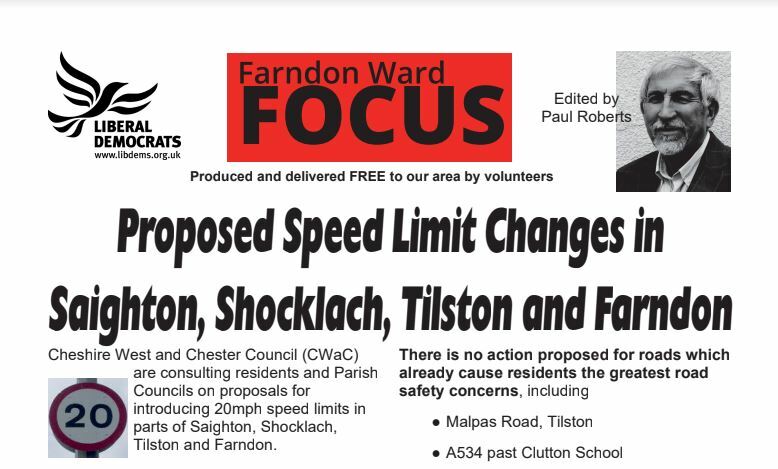 To download a copy of the latest Farndon Ward Focus click HERE. 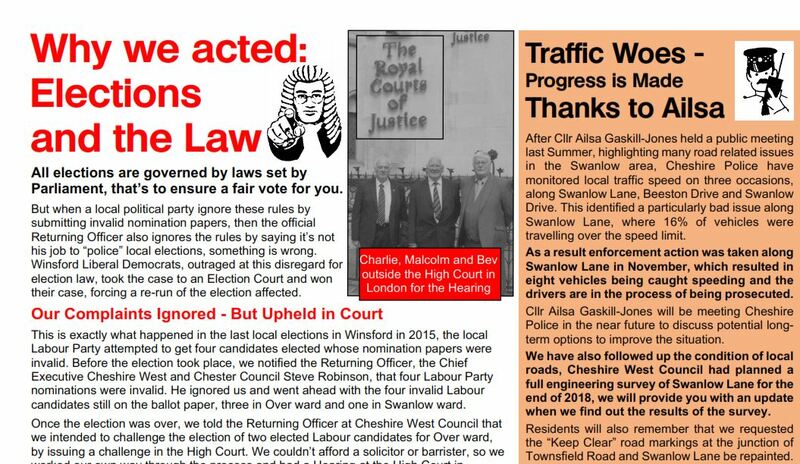 Our Northwich Winsford and Tarvin+Kelsall teams have been very busy !! We have already delivered the 1000s of FOCUS leaflets during the year. 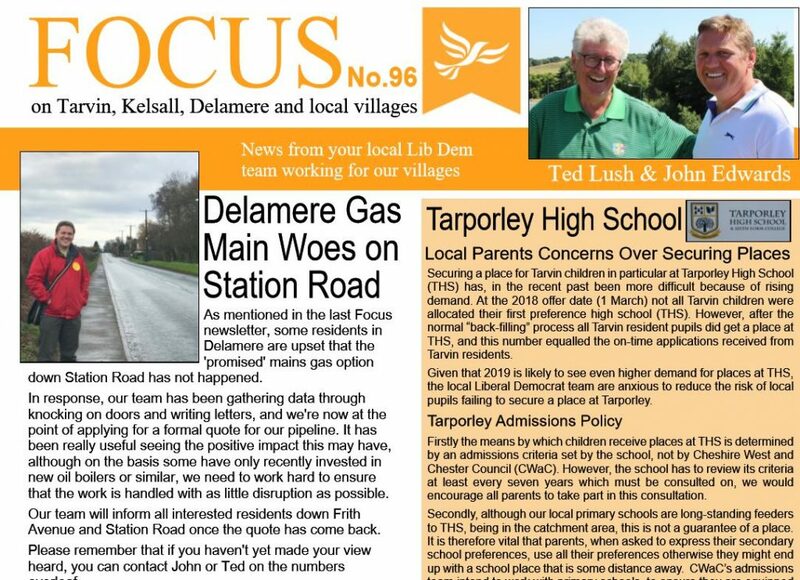 Currently, our teams in Northwich Winsford and Tarvin,Kelsall&Delamere wards have been delivering the first of our Focus Leaflets for 2019. 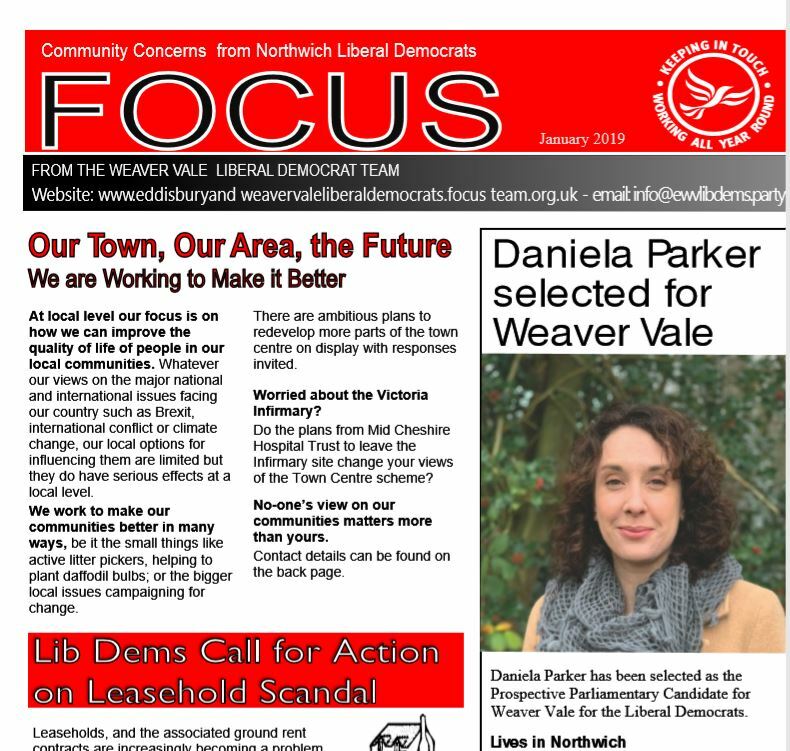 The Lib Dems constituency Party in Weaver Vale are pleased to announce that they have selected Daniela Parker as their prospective parliamentary candidate (PPC). 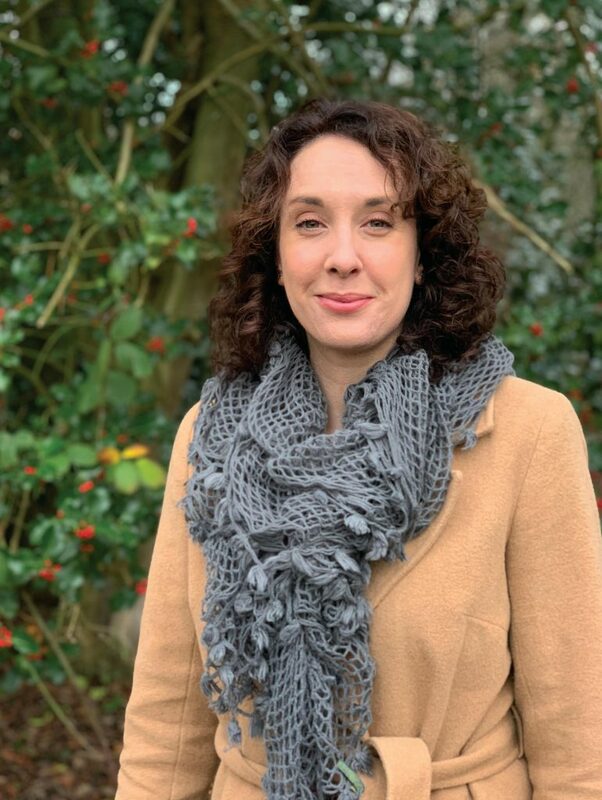 Our previous candidate Paul Roberts who is standing in the CWaC 2019 local election for the ward of Farndon commented “I am delighted that Daniela – who lives in the constituency – has been appointed as the Weaver Vale PPC. I’m sure she will make a real impact and get a much improved Lib Dem result at the next General Election, whenever it happens”. Daniela said “I am thrilled to have been selected as the PPC for Weaver Vale. I am committed to working with all the members of the local community and demonstrating that our Party’s policies can deliver a real improvement in people’s lives. Whether that is campaigning against Fracking in our constituency to a fair funding model for our NHS I believe we offer a much-needed alternative to the Labour and the Tories who are being dictated to by the extremists in their parties. I am delighted to already have been able to start putting together my campaign team, and in the new year we will start planning our campaign strategy with my goal to become the Liberal Democrat MP for Weaver Vale”. Daniela lives in Cheshire with her husband and daughter and works within the Charitable sector with Victims and Witnesses of Crime. She read Psychology at the University of Wales, Bangor and went on to work for 12 years with substance misusing offenders in custody and supporting them in their recovery. Daniela is active in her local community and has worked with her neighbours to improve the appearance of their urban village and campaign for safer roads as well as objecting to more housing developments in the area. Daniela is passionate about a number of issues including healthcare and in particular improving the provision of mental health services. As well as the criminal justice system, including both the rehabilitation of offenders and the experience of victims and witnesses. As the daughter of an Italian father and a British mother she classes herself as pro European, and has been campaigning for an ‘Exit-from-Brexit’. 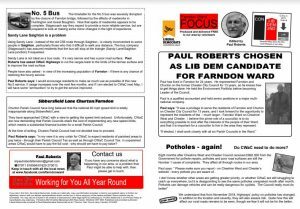 May 2019 Local Elections Campaign Update : Farndon Ward Campaign well underway! 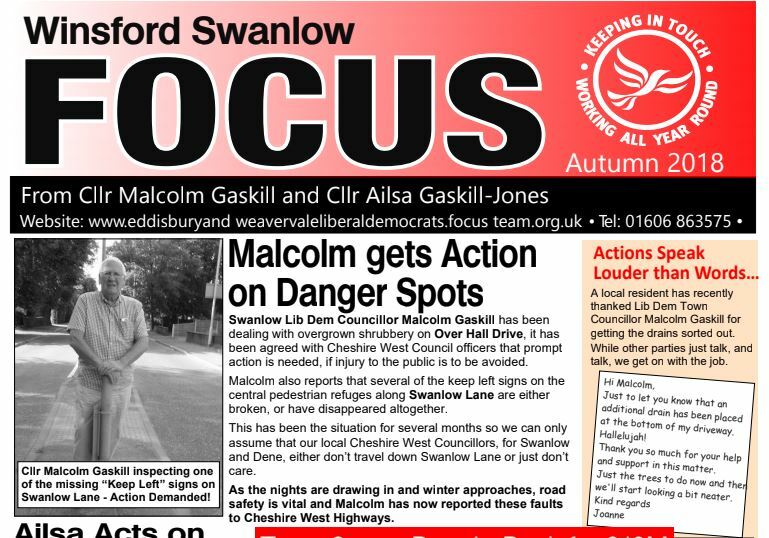 Our Winsford Councillors have been busy again-delivering the Autumn Focus ! We are putting together a strong experienced team of candidates to fight the seven Winsford seats on Cheshire West in May 2019. We have already delivered the 1000s of FOCUS leaflets during the year. 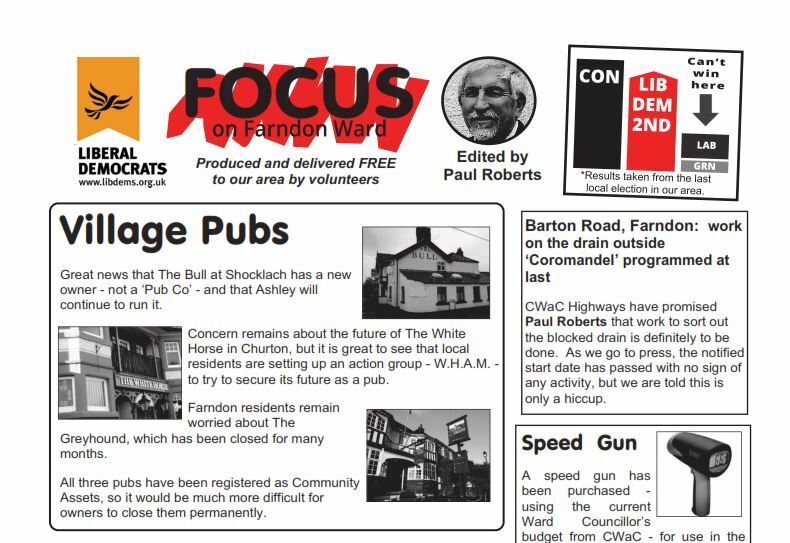 Currently, we are delivering our Autumn edition of FOCUS in Swanlow, Wharton and Over Verdin. You can download a copy of the Swanlow focus HERE Wharton HERE and Over Verdin HERE. Our first Northwich Focus (for many years) has been delivered !! 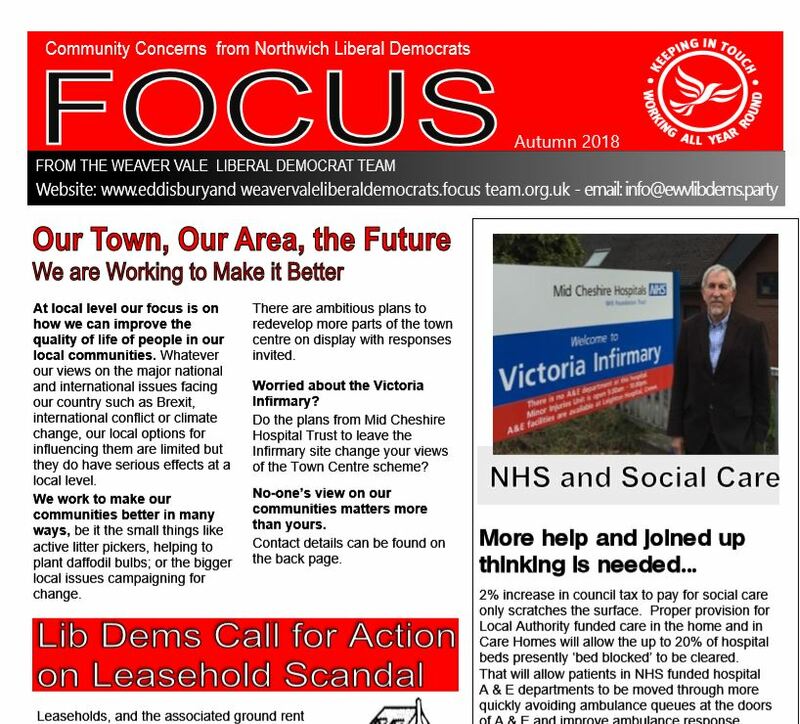 Our Northwich team have delivered the first FOCUS leaflet we have published for Northwich for many years! 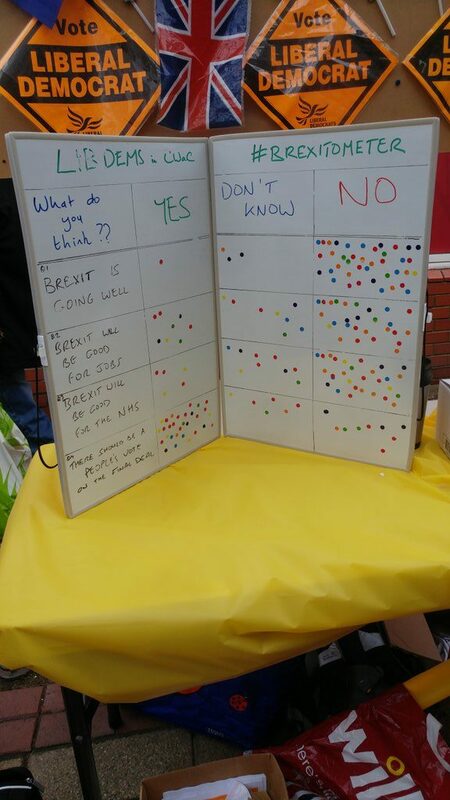 It reflects much of the feedback we got at our Northwich Day of Action Street Stall. We held a street stall in Northwich today and have some great conversations with dozens of Northwich Residents. We spoke to a few potential new members too!! 1. We ran a ‘Brexitometer’ and you can see the results for your self in the picture! 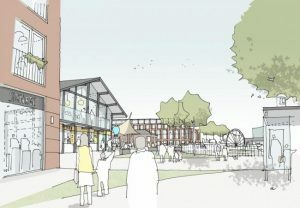 3.An overwhelming no to the idea of parking charges at Baron’s Quay? We need to keep it in town as some people have trouble travelling outside. Builders charging management fees of typically £250 a year to manage green spaces which should be funded by CWaC. It was a very productive morning and we look forward to hearing a lot more from people across the area as our campaign for the May 2019 Local Elections gathers pace. Please follow us Facebook HERE or Twitter HERE. 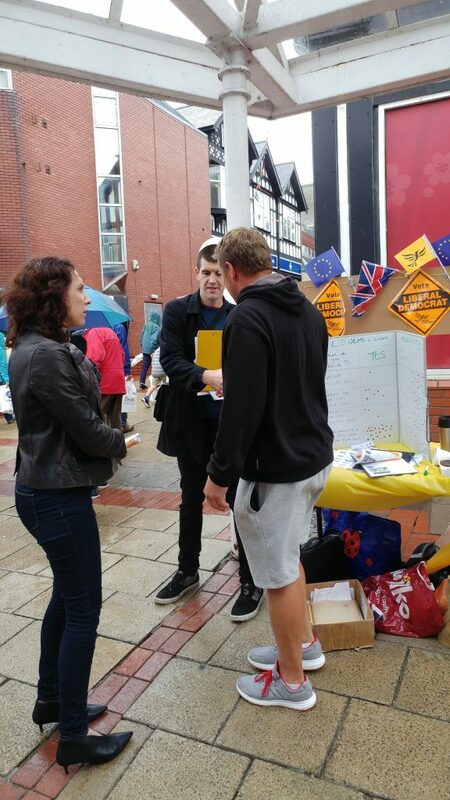 As part of the Lib Dem National Day of Action we are holding two Street Stalls one in Frodsham (10.00 am to 14.00 ) this Thursday (6th September) in Main Street outside the former Nat West branch and the other next Saturday (8th September) in Witton Street, Northwich from 09:00-13: 00. Alongside our Campaign, for an ‘Exit from Brexit’, we want to find out what Local and National Issues matter most to local people: It’s a great chance to raise our profile ahead of the May 2019 Local Elections too. -Proposed Parking Charges at Barons Quay? -Proposed movement of Health services at Victoria Health centre to Leighton? -The campaign for the public to have the final say on Brexit? It would be great if you could come along and have a chat we want to hear from you.